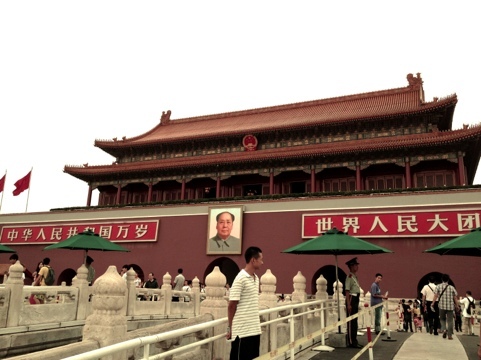 Beijing is a great city to look for the old and the new. 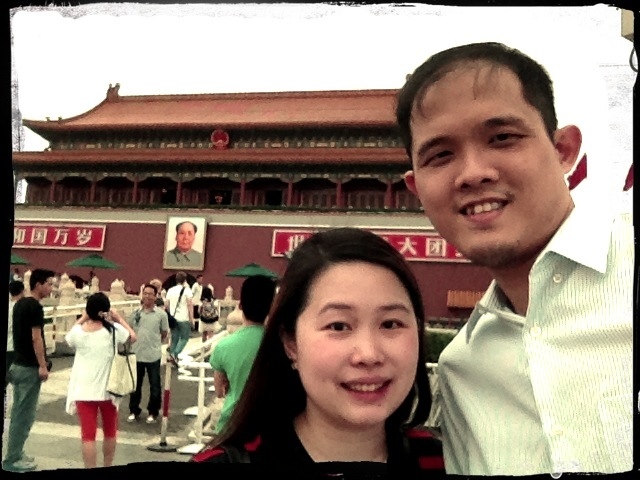 Right in the center of Beijing is the Forbidden City and Tianamen Square. Alongside both city treasures are huge buildings juxtaposed beside old hutongs that are clinging to dear life. 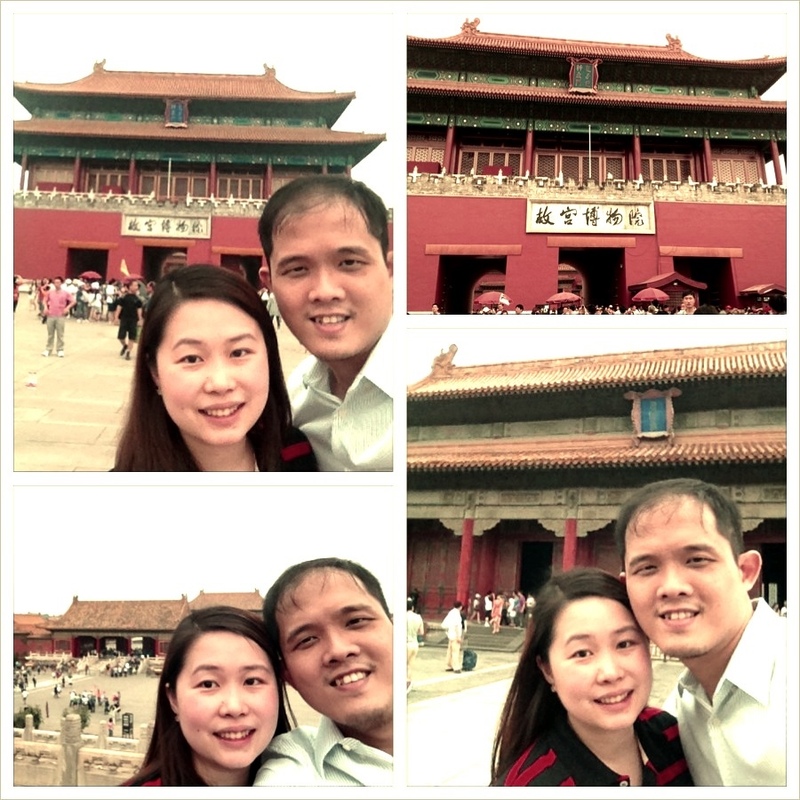 Upon entering the Forbidden city, you can definitely feel the opulence and the grandiosity the emperors lived during ancient times. Land scarcity was definitely not an issue back then. You can also clearly understand why this relic has been constantly burned down and taken over by their enemies. Built on wood and other highly flammable items, it wasn’t built as a fortress that was easily defendable. Simply catapulting burning materials onto the palace will definitely put everyone inside in chaos. Maybe that’s why they built the Coal hill imperial palace across? 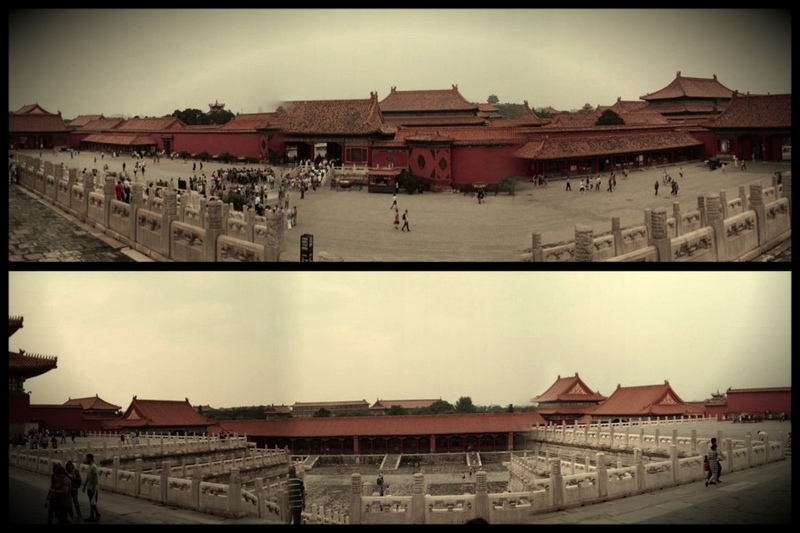 The entrance (RMB60 per person) to the Forbidden City is at the South gate. We walked all the way across passing through all Halls to the North gate and walked around back to the South gate. It was a good 30 minute leisurely walk on paved walk ways. Missing the shuttle from the East gate to the South gate (RMB1), we took a mini-tricycle that brought us to the edge of the South gate where we walked to Tianamen Square. 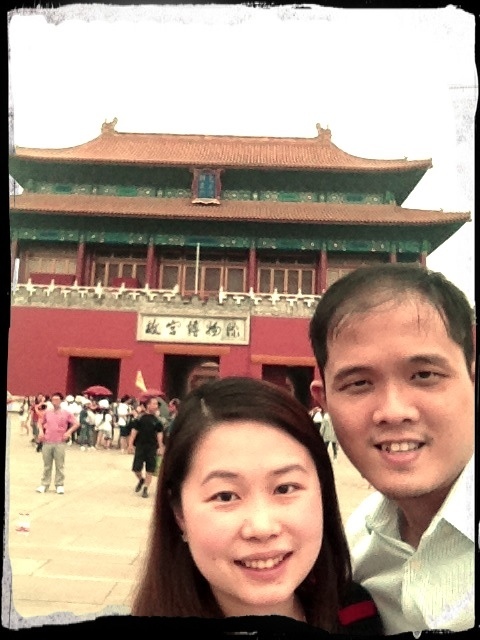 Since the Mausoleum was already closed, we just had our pictures taken outside and walked to Waifujing Ta Jie. 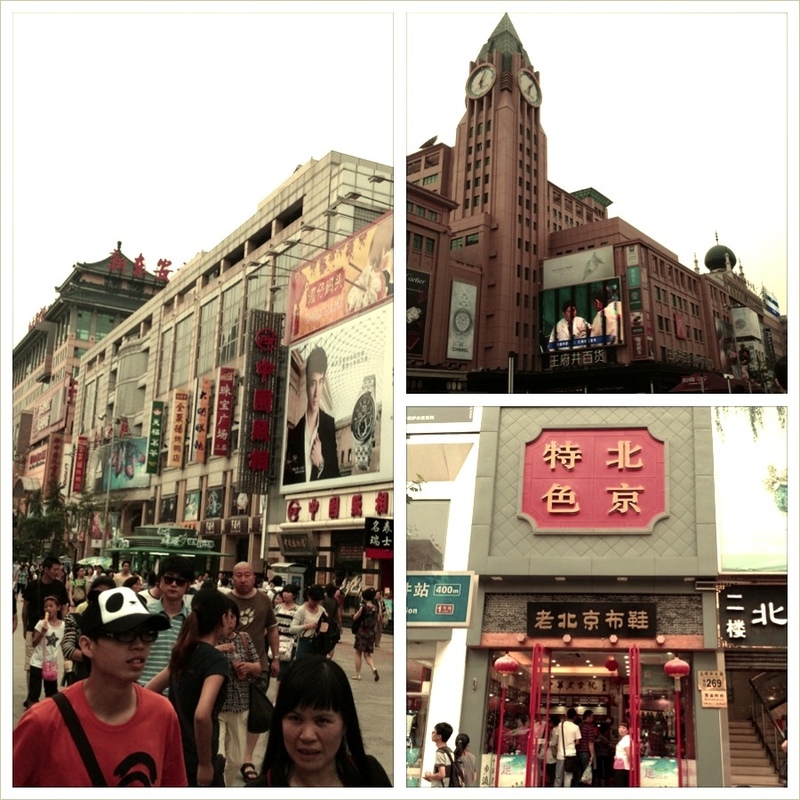 Waifujing Ta Jie is a strip of malls and shops. The street is closed from cars by 5pm so you can leisurely make your way from one shop to the other. Branded names such as Rolex, Tudor, Zara, G2000, Nike, Forever21, Uniqlo, Bally, Gucci, Hermes and many more line up the streets. We wanted to visit the area because of this small street we heard of that sells exotic food on stick as well as bazaar like stalls. H and I were both excited when we found the place. 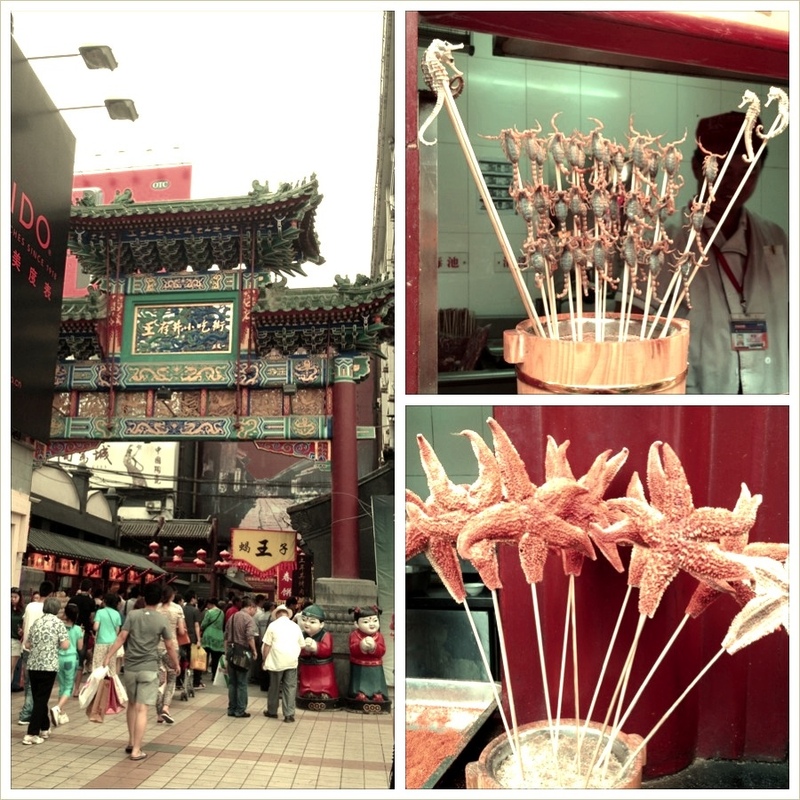 We saw scorpion on sticks, seahorse and starfish grilled and cooked. I also managed to scoop up some magnets to add to my collection (RMB30 for 3). We had reservations at My Humble House for 7pm so we made our way to the restaurant by foot. I’m reserving that for a post on its own. It’s that good! Great way to cap this day. Thanks Dichie for the recommendation. Here are a few pictures taken of our day today.